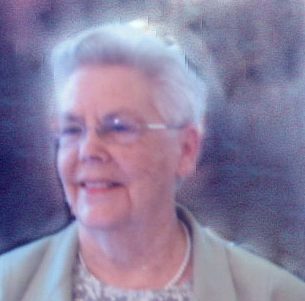 Passed peacefully away at the Agnes Pratt home on March 20, 2017 surrounded by her loving family, Lorraine Ryan aged 81 years. Predeceased by her parents Laura and Clayton Diamond; infant sister Marilyn; sister Jeanette Hudson; brother Edmund Diamond and parents in law Fannie and Orlando Ryan. Leaving to mourn her husband of 55 years, Norman; son Robert (Lynn); daughter Heather (Randy) Mercer; grandchildren Kimberley and Christopher Ryan (Laura Cassell); great granddaughter Layla Ryan; brother Kevin (Jean) Diamond, brother-in law Warren Hudson, Sister-in law Cora Diamond; also a number of nieces, nephews, other relatives and friends. A special thank you to everyone who touched Lorraine’s life especially over the past six months. As per Lorraine’s wishes, cremation has taken place. Resting at Carnell’s Funeral Home, 329 Freshwater Road, on Wednesday March 22 and Thursday March 23 from 2-4 and 7-9 p.m. Funeral service will take place on Friday March 24 from Wesley United Church at 2:00 p.m. with interment to follow in Mount Pleasant Cemetery. In lieu of flowers, donations in Lorraine’s memory may be made to Wesley United Church, VOWR or a charity of choice. I am so very sorry to hear of your loss. I only learned of it yesterday. I have so many fond memories of this dear lady who always made us feel so welcome in her home when we were children and was so kind to all of my family. May she rest in peace. My sincere condolences to Mr. Ryan, Robert, Heather and their families. We are so sorry to hear of Lorraine’s passing. Our thoughts and prayers are with you. So sorry to hear of your Moms passing Robert. Take comfort in knowing she is at peace now. Lean on your family and friends at this sad time and cherish all of your fond memories of her. Our thoughts and prayers are with you and your family. Please accept our deepest condolences. We are so sorry to hear of Lorraine’s passing.. Please know that our thoughts & prayers are with you all during this difficult time. Dorothy Hudson, Debby Meaney, Rocky Hudson, & families. We are saddened to hear of Lorraine’s passing. It doesn’t seem that many years ago that she was my teacher at Adam’s Cove school and I still remember a beautiful, kind and gentle person. We are saddened to hear of Lorraine’s passing. Sorry we can’t be there to offer our sympathy in person. We have fond memories of her and may your fondest memories help you at this difficult time. Our thoughts and prayers are with you all. Sorry to hear of the news of Lorraine’s passing. Saddened to hear the news of Lorraine’s passing. Always smiling and kind when I was in her company. You never realize how some families have always been a part of your own, how simple and sweet memories of growing up have contributed to your feeling of what family is. Sure would love to hear now, Mama saying to Pop, “Lorraine and Norman are coming out, they’ll be up to the time Saturday”. I am sorry for your loss and I hope that happy memories quickly help the sadness ease. We are deeply saddened to hear of Lorraines’s passing. I have many fond memories of Lorraine growing up in Adam’s Cove, she was my Grade 5 teacher, I was a bridesmaid at her wedding and we worked together at Memorial University… When I last visited Lorraine, we reminisced about those times. I will cherish my fond memories. As you know, we are presently in Florida and will think of you all in the sad and difficult days ahead. We send love to you all. Please accept our heartfelt sympathy in the loss of your dear wife, mother and grandmother. Please know we will be thinking of you all in the coming days. Mr. Ryan, Robert, Heather and family, so sorry to hear of Mrs. Ryan’s passing. She was always a wonderful neighbour and friend. You are in our thoughts at this sad time. I have many wonderful memories of Lorraine from my childhood, Adam’s Cove vacations, picnics at Flamber Head and escapes from studies to Ayreshire Place. Then later memories with Colin, Nola and Tisha. I was saddened to read of Mrs. Ryan’s passing. I am away at the moment, but send my sincere wish that your precious memories of this lovely lady will help you through this very sad and difficult time. So sorry and deeply saddened to hear about Mrs. Ryan’s death. I have known Mr. and Mrs Ryan, Robert and Heather since my childhood days growing up on Ayreshire Place in St. John’s. We have remained friends with them and their families to the present day. I have many special memories of Mrs. Ryan and her family. Thinking of Robert, Lynn and their family, Heather and Randy and Mr. Ryan. May you find strength in remembering the special times that you shared with Mrs. Ryan and the love she had for all of you. Marilyn, Wade, Mason, Nicholas, and Liam Ellis.